Get acquainted with Hanover King of Prussia, a luxurious new residential apartment community located in accessible and historic King of Prussia within flourishing Montgomery County, PA. Our 339 stylish apartment homes feature ultra-luxe finishes such as spa-like bathrooms with porcelain tile flooring and soaking tubs, gourmet kitchens with granite countertops and stainless steel appliances, expansive windows and frameless cabinets throughout. Residents enjoy a lush landscaped courtyard featuring a conversational firepit and outdoor grilling area and a spacious resort-style pool, as well as exclusive use of our 24-hour fitness center with private yoga room, game room, e-lounge, resident pantry, entertaining screening room, and much more.  Bask in the serenity of Hanover King of Prussia with its perfect proximity to nearby Valley Forge National Park and access to all major thoroughfares and approximately 2 miles from Norristown and Stratford SEPTA stations.